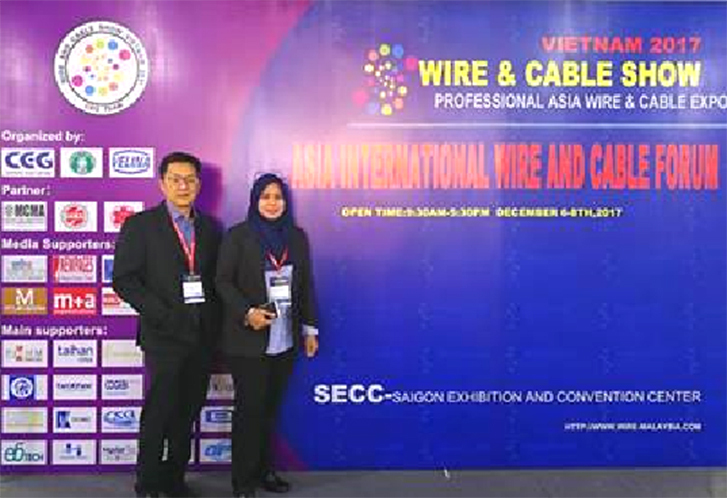 Ho Chi Minh – In an effort to expand TCI’s business and brand to beyond the border, Mr. Teo and Ms Rodhiah were selected to represent TCI to participate in the Wire & Cable Show Exhibition, Vietnam 2017 in Ho Chi Minh City from December, 6th to 8th 2017. In addition to exhibiting TCI products and services as well as company ambassadors, both were advised to get feedback on the technology offered. Among other Malaysian companies participating were Master Tec, Hi Essence, Southern and Olympic Cable.